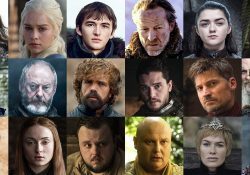 Amazon Prime may be overshadowed by Netflix with its volume of original series and movies, but Amazon Originals are slowly gaining rank with the likes of “House of Cards” and “Thirteen Reasons Why”. Having started with comedies like “Betas” and “Red Oaks” and now airing “The Romanoffs” and “Tom Clancy’s Jack Ryan”, it’s no surprise that Amazon Prime is so popular now. Here are all the Upcoming Amazon Original Shows. 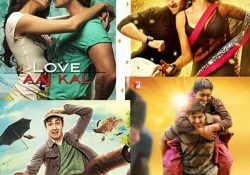 This 9 episode series will be released on 15 November 2018. “Lore” is a horror anthology series with each episode detailing the origins or story behind a particular urban legend or monster. 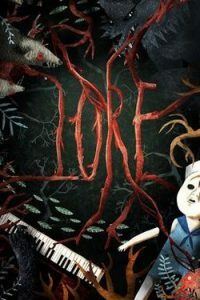 ‘Lore’ was initially a set of podcasts by Aaron Mahnke who also stars in this series.’Lore’ is a haunting series with a dreary ambience and a belief hammered into the audience that ‘the scariest stories are true’. The first seasons talked about the old horror stories – werewolves, a possessed doll, haunted houses, fairy residing in women, icepick lobotomy & the grey areas of science of the 1880s. The second season takes it to another level by exploring real criminals masked as ghosts – serial killers, murderers hiding in walls & more. Fans of horror anthology series and movies like “REC” will love this series coming on October 19, 2018. The series ‘Paws of Destiny’ is the continuation of three-part Kung Fu Panda movies. Amazon Prime bagged the rights of this franchise and converted it into a full series. After Kung Fu Panda 3, Po is pushed into a new adventure of training four young panda kids. These kids are born in a cave below the panda village and have been instilled with a powerful ‘chi’ energy of a Kung Fu master each – Oogway, Snow Leopard, Chinese Dragon & Phoenix. If you have seen all 3 parts, you can relate to all these Kung Fu masters. 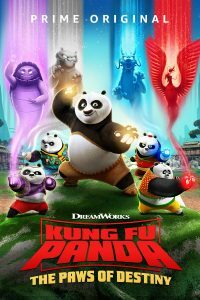 These kids have the powers but someone needs to teach them kungfu – the way of the warrior and who better than Po, the original Kung Fu Panda himself. Together they must prevent a great evil from rising and save the world. This time, Po is voiced by Mick Wingert instead of Jack Black. H, who voiced Po earlier in the Nickelodeon series ‘Kung Fu Panda: Legends of Awesomeness’. Not only for kids, but this series is also a must-watch for all the animation lovers. So enjoy this light-hearted series coming on 16 November 2018. “Carnival Row” is based on an unproduced film script “A Killing on Carnival Row” by Travis Beacham, who is a co-writer of the series. The story is set in a fictional future where mystical creatures leave their war-ravaged homeland and arrive in the gloomy Victorian city of Burque. A series of murders strain the already tense relationship between the immigrants and the citizens of Burque. Orlando Bloom (“Pirates of the Caribbean” star) will play Rycroft Philostrate, a police inspector who must solve the murder of a faery girl as panic spreads among the populace. Despite not being his job, he delves deep into the murder and gets caught up in it. It was originally meant to be co-written and directed by Guillermo Del Toro but he was forced to pull out due to his busy schedule. This neo-noir drama is set to be released sometime in 2019. 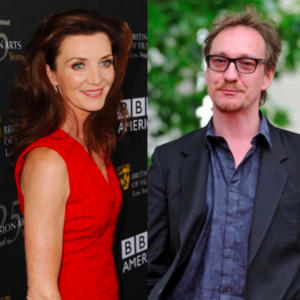 Good Omens is based on the novel of the same name by Terry Pratchett and Neil Gaiman. Gaiman will also be writing the series and serving as showrunner. 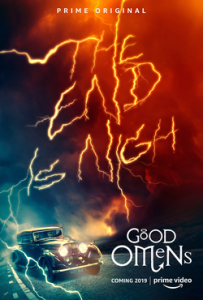 The story features the demon Crowley asking for the angel Aziraphale’s help in stopping the Armageddon – the end of everything. Heaven and Hell come together to prevent the Antichrist and a series of funny adventures unfold along the way. David Tennant, “Doctor Who” actor and “Frost” star Michael Sheen play the titular characters of Crowley and Aziraphale respectively. Await this spectacular series sometime in 2019. 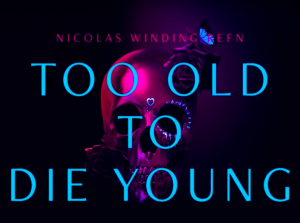 Directed by Nicolas Winding Refn, a master of cinematography and colours, “Too Old to Die Young” is a show about a police officer and the man who killed his partner allying to survive the criminal underworld of Los Angeles. Trapped on all sides by hit men, Russian Mafia, Mexican Cartel they hustle through this dirt by slowly upgrading themselves from killers to untraceable assassins. The series seems to portray ample gore, murder, and torture while making you marvel at the beauty of the way they do it. ‘Whiplash’ fame Miles Teller plays Martin, the protagonist of the show. Those who watched NBC’s “Hannibal” is sure to love this one. Enjoy this gory series in 2019. The first animated Amazon Original series, “Undone” is the story of a girl who, after getting into an automobile accident, discovers that time works differently for her and she uses her powers to investigate the death of her father. The show was created by Raphael Bob-Waksberg and Kate Purdy, who previously collaborated on the adult animated series “BoJack Horseman”. 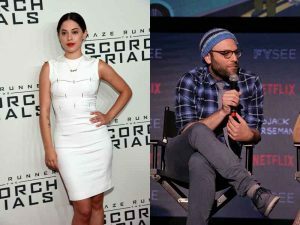 Rosa Salazar, who previously played minor roles in “American Horror Story: Murder House” and “The Divergent Series: Insurgent”, voices the titular character Alma in this animated series. Enjoy this comedy animated drama coming in 2019. “The Boys” is based on a comic series of the same name created by Garth Ennis and Darick Robertson. 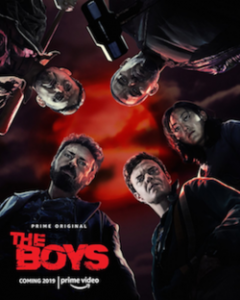 The series details the conflict between ‘The Boys’ and ‘The Seven’. The Seven is a superhero group who frequently misuse their powers and fame. The Boys are are a group of five people, members of a CIA squad tasked with taking down the out-of-control superheroes. Developed by Eric Kripke, creator of “Supernatural”; Seth Rogen, director of “Preacher” and Evan Goldberg. The show is more dark and grisly than you’d expect a superhero series to be, don’t be surprised if it ends up a bit too gritty. If you have always felt that superhero shows like ‘Daredevil’ or ‘Arrow’ just weren’t dark and gory enough or if you’re a fan of the ‘Deadpool’ movies then this will be worth a watch. It will be aired in 2019. 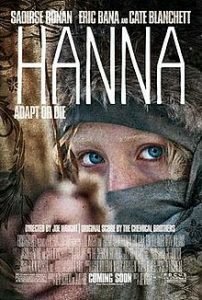 Based on the 2011 film of the same name, “Hanna” is the story of a girl who has been trained by her father to be a master assassin. As she runs, pursued by C.I.A. agents, she must discover who she truly is. The star cast is changed in the TV adaptation – Esme Creed-Miles as the titular Hanna Joel Kinnaman, “Suicide Squad” actor, as her father Erik and Mireille Enos, “The Catch” star, as the C.I.A. Agent who is after Hanna. 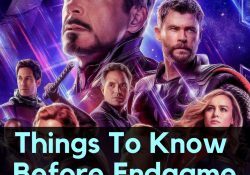 This series has a lot to live up to in terms of the acting performances from Ronan and Blanchett and must enhance the plot to grip the audience for a 9-episode tv show. Written by David Farr who co-wrote the film as well. Fans of ‘Black Widow’ will love this show coming in 2019. When Lawrence Hatfield invents a brain implant capable of transferring memories, emotions and thoughts to everyone connected to the Feed, no one can predict the way it changes everything. Carl Tibbetts, director of series like “Black Mirror” and “The Woman in White”, serves as the director of many episodes. And if “The Feed” is anything like the futuristic “Black Mirror”, with its mind-blowing twists and turns, it will be worth a watch. If you like the mysterious aura and ominous warnings of technology going wrong in shows like “Black Mirror” and “Westworld”, you will definitely love this series coming in 2019. Upload is a sci-fi satire set in future where one can choose their afterlife. When Nathan meets an early end, he gets uploaded to his chosen afterlife where he meets Nora. 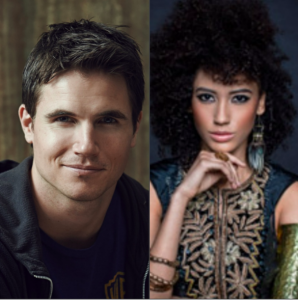 Robbie Amell(The DUFF) plays Nathan, who seeks to come to terms with his own death and being away from his family. Andy Allo stars as Nora, who has to juggle her job, personal priorities and handling Nathan. An uncommon take on the concept of death and the afterlife, “Upload” has the potential to be a hilarious comedy that is not too cliché, it is on the lines of Black Mirror’s Season 3 episode – ‘San Junipero’. Greg Daniels, who created the Emmy-award winning ‘The Office’ will be the creator of this show as well. Fans of “The Office” and “Brooklyn Nine-Nine”, with a satirical, bordering on dark, sense of humour, will surely enjoy this series, to be released in 2019. Tumble Leaf series is aimed at pre-school kids and increases kids’ understanding of the world around in a fun way. 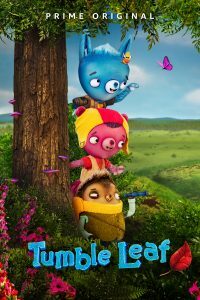 The fourth season explores the adventures of Fig the blue fox and his friends in “Tumble Leaf”, a light-hearted stop-motion show for younger children. In this Halloween special, Fig and his friends go trick-or-treating to encounter spooky things and have fun. Enjoy this cute little show on October 19, 2018. 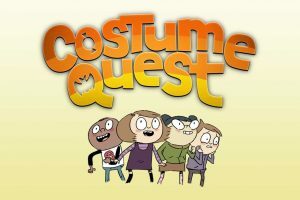 Costume Quest is the tv show sibling of the smash video game series by the same. Aimed at 6 to 11 year olds, it is a hilarious series in which four kids face evil forces by assembling their friends and collecting candies & costumes. These costumes unlock powers that transform or empowers them to fight the monster. There are more amazing series coming soon, like “Tong Wars”, “Invincible”, and “Cortes”. 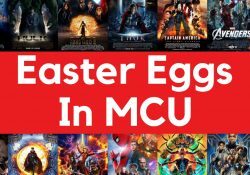 So clear your schedule, grab a bucket of popcorn, and prepare for some epic binge-watching soon.